Wooohooo!! 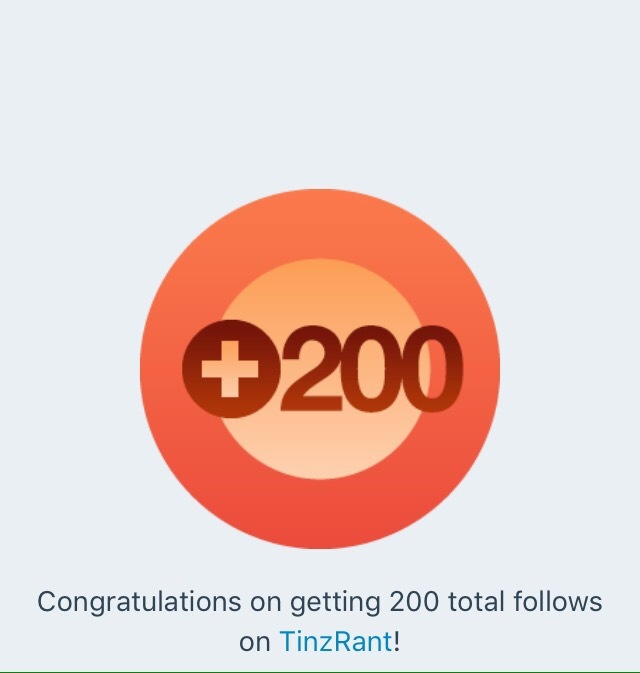 I have reached 200 followers on my blog,so this post is to genuinely thank everyone that follows me and takes time out of their day to read my topics. It is much appreciated. Sometimes I do get sidetracked and don’t blog as often as I should/want to, but I’m determined to post more frequently and more consistently. Also if your on Twitter or Instagram add me!